Part one, obliviously refers to the origins of this idea of Free-Flight space combat. Michael relays how it was one of the long list of things, commonly referred to as “the wall of crazy,” they wanted to implement into the game. However, due to things needing to be for the ground part of the game content and then the switch to Free-to-Play option, this concept was put on hold. 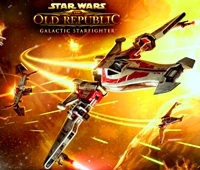 He states in the blog, it wasn’t until August 2012 that the development team was able to tackle the ideas for space in SWTOR. The main things they got back from their research and listening to fans…space needed at least Free-Flight and customizations for starships. After they knew what the community wanted, it was how to put that into SWTOR. He talks about the ideas for creating a total sandbox style space environment, but that could have easily turned out to be a bigger game than all of the ground game put together. Michael goes into detail about how they decided PVP will be at least the start of how they want to change space in SWTOR. To be honest, think back to the movies, it was mostly battles that involved starship versus starship…X-Wing vs. Tie-Fighter. Yes, there were huge Capitol ships in those battles, but first let them get smaller starships into the game first and then go from there. Michael Backus discusses several interesting ideas, in regards to the beginning for the space idea and how it got to the stage it is now. Remember, this blog is only part one, so be sure to keep an eye out for future installments about the new expansion: Galactic Starfighter…coming soon to SWTOR! Last Friday, BioWare posted an article that gave us a new set of dates to last through the addition the new expansion: Galactic Starfighter released to everyone in February 2014. October 29th is the first date on the new Holiday Update list. It is the targeted date for Update 2.4.2. This is the update that will bring us the official Season One of Ranked PVP. This update also contains a web-based leaderboard for Ranked PVP. This will be hugely appreciated as both of these items have been wanted greatly by the community. The next date mentioned in the article is November 12th. On that day, the Bounty Contract event will begin again. It will also be the day for BioWare to target freeing up some character names. This will NOT affect any current subscribers and none of their characters will need to be renamed. It will also not impact any character level 30 or higher. According to BioWare, most of the names being reclaimed are characters below level 10. November 27th will start an extended Double XP Weekend. It will start the 27th and last through the Thanksgiving weekend…Wednesday through Sunday of Double XP goodness! So that leads up to December 3rd, for those who keep their subscription current through November 1st, will be granted early access to the Galactic Starfighter expansion. Update 2.5 is also scheduled for December 3rd. 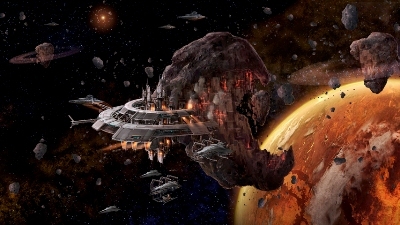 It will contain a new Warzone Arena: the Makeb Mesa Arena. Update 2.5 will also start to address some class changes geared for helping to balance the classes. Be sure to read carefully through the Holiday Update article and start marking your calendars for these upcoming dates. As I mentioned in the above section, Update 2.5 is targeted for December 3rd release. This update will contain several things, but a bulk of the update will be centered on changes to the classes. The Combat Team posted an article detailing the known changes that will be taking places to the various classes. There are way too many for me to start naming them all off, but I would strongly suggest you head over and read the entire posted article, so you can see what is changing for the specific class of your character(s). Live PVP stream on Twitch.tv! Today, October 24th, 2013, at 6:30 PDT, you can go to MMORPG.com’s official Twitch.tv site and watch some 4v4 Ranked Warzone Arena fights. This time around there will be a featured player instead of a guild. 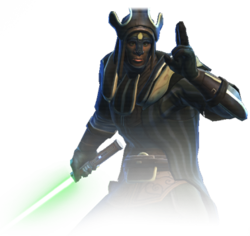 The featured player will be the “JediConsular.” Take a guess which class they will be playing as? To get a better idea what it is like to player to solo queue for a Ranked Arenas, be sure to check out the streaming event. Below are the details found on the official SWTOR news article. This week in our articles, Drew talks about how to use the Focus Target system in SWTOR. I got the chance to interview the guild, The Exiled Hand. It is great pleasure we introduce one of our new writer’s, M1SF0RTUNE aka Mysen. Mysen’s new article is called War Stories and is a series of Roleplay Articles. If you are into RP and Star Wars, especially the Old Republic timeline, be sure to read Mysen’s introduction to War Stories and also learn more about the writer. Fanatical Swordsman: Is Galactic Starfighter a full Expansion? Drew starts the article with various definitions of expansions in other games, like WoW, EQ and SWTOR. He then goes into another section outlining the history of expansions in these games. He looks at the differences between all three games. Finally, he analyzes what we currently know about the Galactic Starfighter expansion and judges whether it is an expansion or not. After reading through the article, which I highly recommend, he offers a poll where you can weigh-in on the debate about whether it is an expansion or not. Less than a week till Halloween, I can’t believe it myself. The time does fly by at “Lightspeed” it seems. 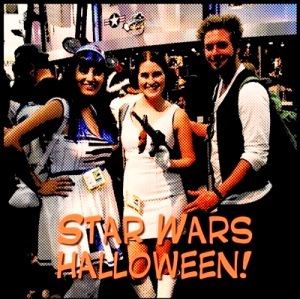 That said, I managed to find a couple of links to help with a last minute Star Wars costume and also I found a link for some free, gotta love free things, Star Wars themed pumpkin carving stencils. 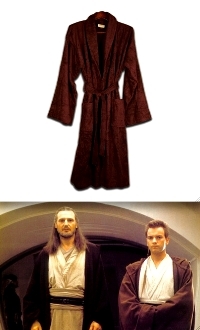 The costume link, from StarWars.com, has anything from a simple brown bathrobe being used for a Jedi cloak, all the way to something a bit more ambitious like making an R2-D2 costume. Although once you read through the article, even the ones that look complicated are not so bad if you follow the steps they offer for each costume. I would say give yourself a couple of days to piece together your Star Wars costume and you will be ready for that party or some trick-or-treating. 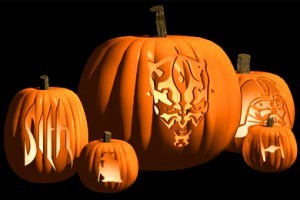 The other link is all about getting your pumpkin carved with a Star Wars theme. Now all you kids, please make sure you get your parents’ permission before getting out the lightsaber, knife etc. to carve up your pumpkin. If you go to the link, from StarWars.com, you will see a list of tools you will probably need and instructions. The link for the free PDF file of the stencils is also on the article, but I will provide it below right above the image of some already carved Star Wars pumpkins.